In 1962, a small La Cienega gallery hosted a solo show for an emerging artist named Andy Warhol. The place was Ferus, and it’s where this account of the L.A. modern art scene begins. The ballsy beatnik crew surrounding Ferus included everyone from Ed Moses to Dennis Hopper to John Baldessari. 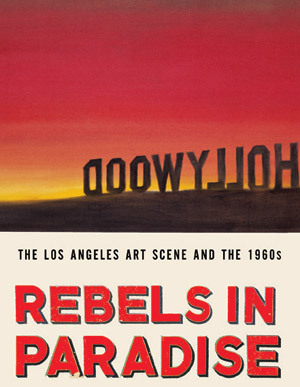 The book looks at the artists’ personal and professional lives and the antics that went along with ’60s L.A. culture. This is not a beach read (the tone skews academic), but it’s the most thorough survey to date of a movement that’s still shaping the art world. The latest from 2006 National Book Award finalist Dana Spiotta is set in L.A. and follows the travails of siblings Nik and Denise. Growing up in Hollywood, Nik got a taste of fame with his punk band, the Fakes. He has since become a Topanga Canyon recluse who obsessively documents his life (and fabricates portions of it) in what he calls his “Chronicles,” which Denise—a single mother in Santa Clarita—loyally reads. Spiotta nimbly moves among Nik’s chronicles, Denise’s journals, and third-person narration to create a structure as complex as the characters’ relationship.